The argument rages between wine lovers and beer enthusiasts about which delightful liquid tastes better, takes more effort or skill to make, draws a stronger community, or relies on a more refined palette. The debaters can have their positions, while I’ll continue to thoroughly enjoy both fermented grapes and fermented malts. I titled this post very carefully. 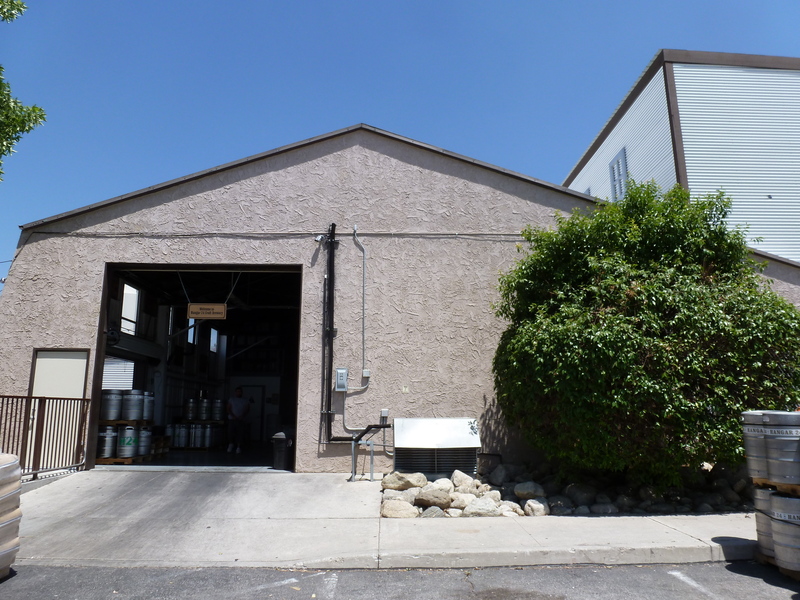 As opposed to last week’s “San Diego Breweries, Day 1: Big Operations,” the three operations in this post aren’t “small” per say, they’re just smaller, and they deserve the credit of recognizing how well they’re doing and how far they’re headed. Also, all three of these locations are located in North County San Diego in the town of Vista, within a block of the same road, Sycamore Avenue . . . convenient? Absolutely. 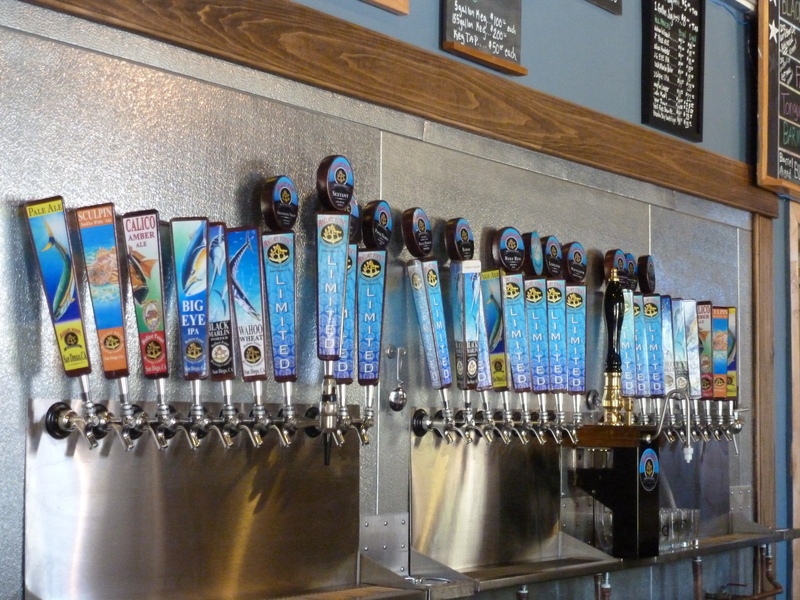 Driving south on Interstate 5 from Orange County towards San Diego, (one of the current craft beer meccas), Lindsay opened the area’s beer map, boasting 38 locations in one county. Oh, my, goodness. How would we get them all in over one weekend? Though my type-A nature actually began strategizing a method to complete such madness, I knew a half dozen breweries over two days would be a great goal. There’s absolutely no need to over-indulge, be irresponsible on the roads, or confuse our palettes with yes, too much beer. So we opted to spend our first day in the Mission Valley area, visiting some of the well-known, larger craft breweries: Ballast Point and Green Flash, and then a Port Brewing location in Solana Beach. Without a doubt, we sacrificed visiting some other heavy hitters in the area, but we can always return to savor more SoCal craft beer. – A solid variety of production beers that represent style and taste to near perfection, and offer an unrivaled clarity of beer color in each style. 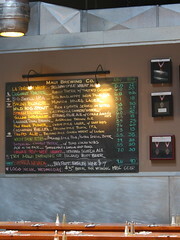 – Once past the standard six, the brewers have designed an almost over-whelming menu of options, including a series of chile beers, a selection of smoked beers, and some craft releases I’m still craving to revisit nearly two weeks after our visit. 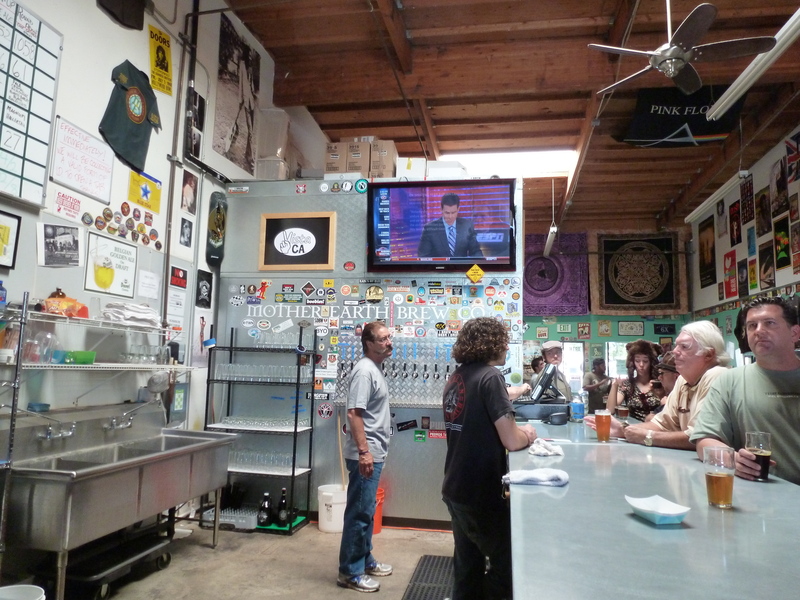 Our first day out beer tasting in California serendipitously landed us at two very different breweries in Southern California celebrating their 4th years in business. Though we missed their actual anniversary parties, drinking taster trays from each spot made it clear to us that Hangar 24 and The Bruery have plenty to be proud of as they near their half-decade milestones. 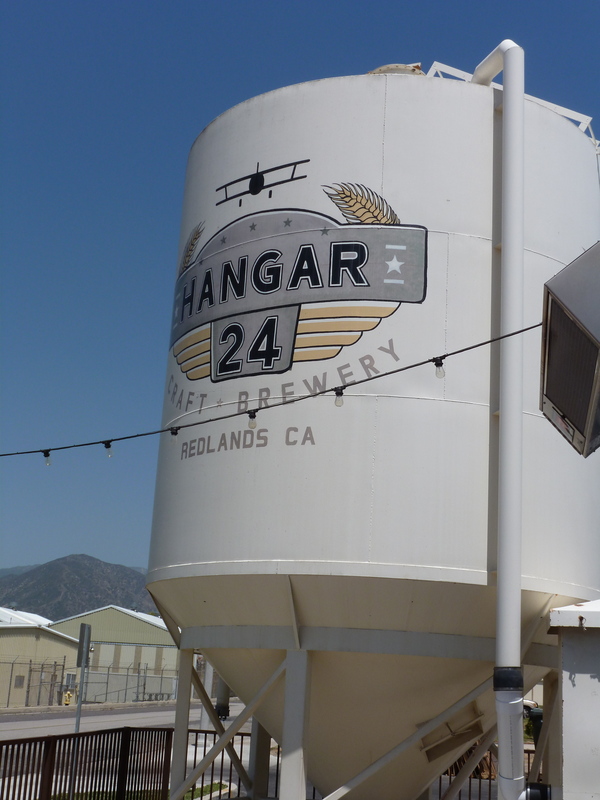 Hangar 24, as its name might lead you to believe, calls an old airplane hangar at the Redlands Airport, home. Never heard of Redlands? It exists in the Inland Valley of Southern California, beautifully perched beneath towering mountains and an unfortunate amount of Los Angeles smog. I called it home for more than seven years as I went to school at the Johnston Center for Integrative Studies at the University of Redlands (an idyllic undergraduate experience).